I am very happy with my scuba diving with sun tour. lisa was an amazing driver very respectful and punctual. I totally recommend it the dive was great and saw alot of beautiful things im tulamben. 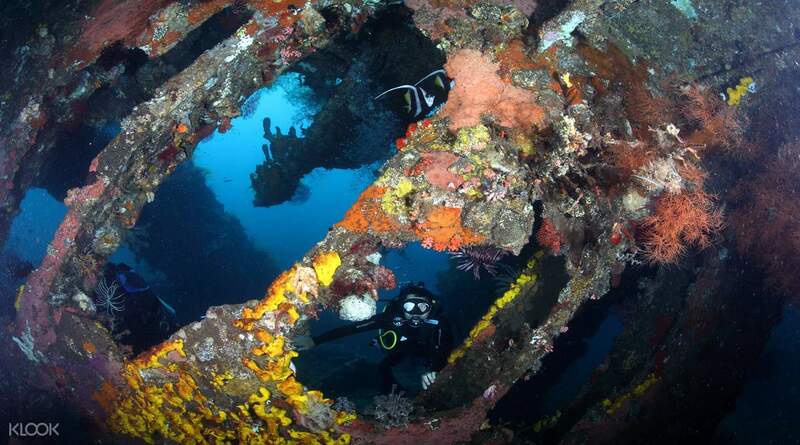 Descend to one of the famous diving spots in Bali and explore the underworld beauty around the sunken USS Liberty. Already visible from the surface on a clear day, the World War II era shipwreck is covered with diverse and colorful corals and has become a home to a number of unique underwater species like Ghost Pipe Fish and Pygmy Seahorses. 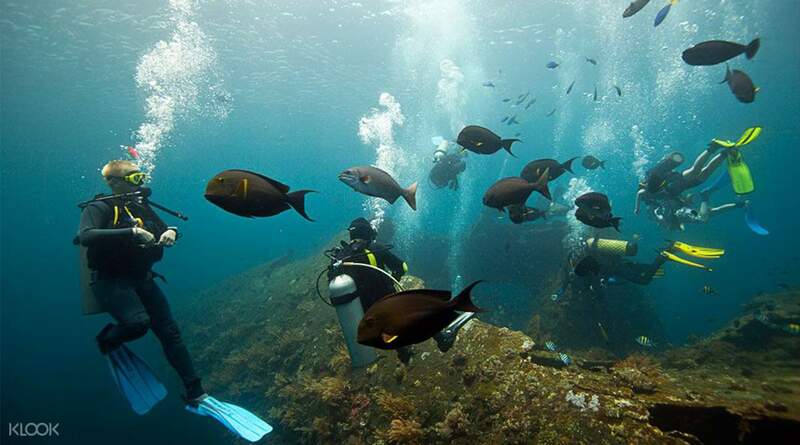 Swimming with the abundant marine life through the wide holes and twisted metal bars will give you an underworld experience similar to Hollywood sci-fi films. For macro photography lovers, the contrasting colors of rusting metal posts and corals is an underwater haven! Only 50 meters away from the shore of Tulamben, this experience will last around 10 hours from pickup till drop off. The package includes lunch after your first dive, a freshen up shower in the open air shower facilities, and changing rooms before you are brought back to your accommodation before 6:00pm. I am very happy with my scuba diving with sun tour. lisa was an amazing driver very respectful and punctual. I totally recommend it the dive was great and saw alot of beautiful things im tulamben. I am very happy with my scuba diving with sun tour. lisa was an amazing driver very respectful and punctual. I totally recommend it the dive was great and saw alot of beautiful things im tulamben. Raining day but still get to see fishes and ship wreck. Our Dive master is vigilance and nice, we had a great dive for first timers. Raining day but still get to see fishes and ship wreck. Our Dive master is vigilance and nice, we had a great dive for first timers. Absolutely amazing experience as a first time diver in Tulamben. Klook's responsive online team ensured smooth pick up to the activity and great service. Absolutely amazing experience as a first time diver in Tulamben. Klook's responsive online team ensured smooth pick up to the activity and great service. The diving is a long trip from Kuta/Seminyak, taking about 4 hours including traffic jams. By the time we reached the site it is about 12pm. This is not reflected in the description. You would reach Kuta/Seminyak again after 6pm. We reached at roughly 8pm. There is quite a lot of marine life to see underwater, and we get to dive in and out of the shipwreck. Managed to catch a barracuda, garden eels, and much more. Dive master wasn't the most friendly though, he chose engage another another participant more and took her contact down to contact for future diving trips. The diving is a long trip from Kuta/Seminyak, taking about 4 hours including traffic jams. By the time we reached the site it is about 12pm. This is not reflected in the description. You would reach Kuta/Seminyak again after 6pm. We reached at roughly 8pm. 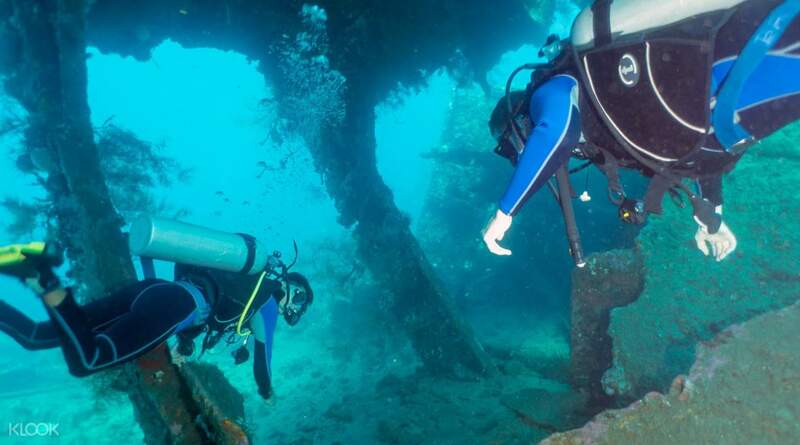 There is quite a lot of marine life to see underwater, and we get to dive in and out of the shipwreck. Managed to catch a barracuda, garden eels, and much more. Dive master wasn't the most friendly though, he chose engage another another participant more and took her contact down to contact for future diving trips. The dive at tulamben was spectacular. We were beginners and the dive instructor was very helpful at showing us how to get accustomed to the underwater navigation and breathing. The ship wreck itself is breathtaking. I find it much better than the usual coral sightings elsewhere. Overall 5/5. The dive at tulamben was spectacular. We were beginners and the dive instructor was very helpful at showing us how to get accustomed to the underwater navigation and breathing. The ship wreck itself is breathtaking. I find it much better than the usual coral sightings elsewhere. Overall 5/5. Picked us up around 8AM from Legian/Seminyak, drive to Tulamben was around 2.5-3 hours. Traffic was a little bad going back at the end of the day, but okay. The dive site is amazing, definitely worth the trip. The equipment and the facilities were good, clean. Picked us up around 8AM from Legian/Seminyak, drive to Tulamben was around 2.5-3 hours. Traffic was a little bad going back at the end of the day, but okay. The dive site is amazing, definitely worth the trip. The equipment and the facilities were good, clean. The shipwreck is amazing and the dive was handled by good professionals who managed all our expectations very well. I wish the price of recording was a little lower though. The shipwreck is amazing and the dive was handled by good professionals who managed all our expectations very well. I wish the price of recording was a little lower though. Must experience. The staff was very friendly but sometimes a little bit creepy specially for solo women travellers. Must experience. The staff was very friendly but sometimes a little bit creepy specially for solo women travellers.